I'm still recovering from the big FIRST birthday party for Braden... but I wanted to get a few pictures up because lots of people are anxious to see them! I'm going to do a few posts to break up all the pictures... there are A LOT. 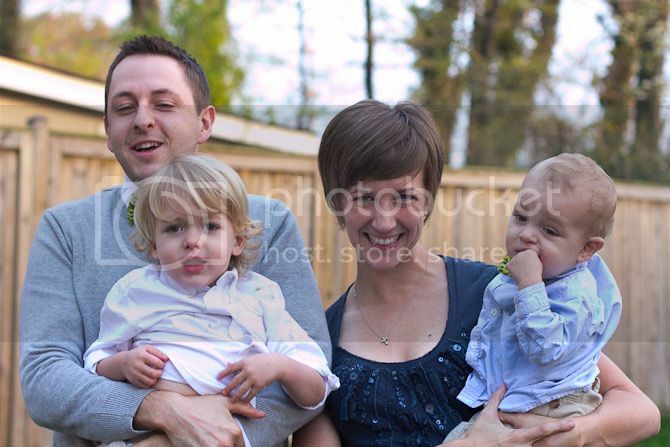 Family pictures are so hard to come by for us... but here are a few of our attempts. Braden was a bit cranky but perked up when he got to hold Sol's (empty) beer bottle. Seriously, he loved it and it crushed him when we took it away. 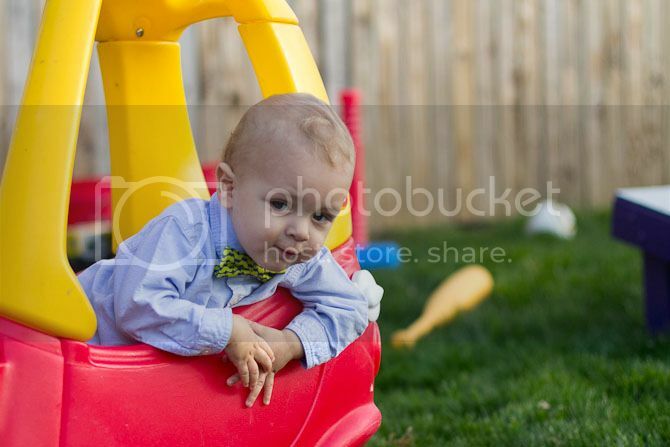 His other favorite activity was sitting in the red racecar. 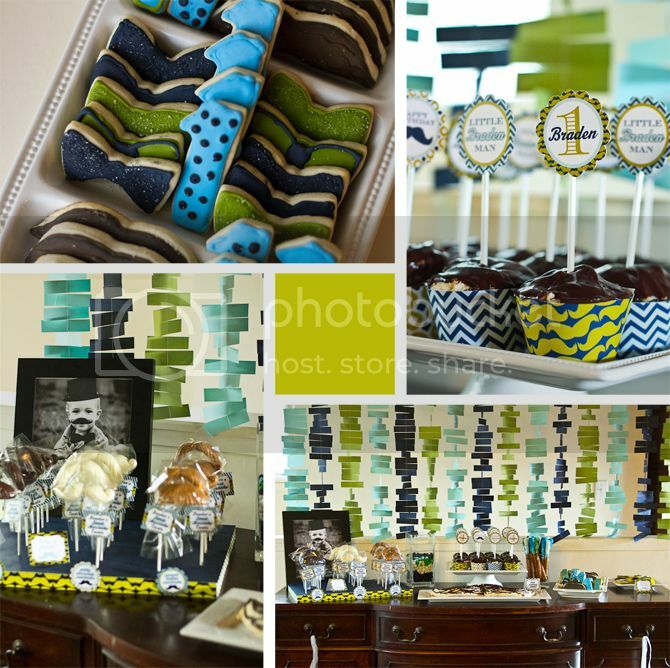 I custom printed fabric to match the invitations and made the boys matching bow ties and a belt for Braden. True to form, Finley refused to wear his. But these two looked dashing in theirs. I spent a long time Pinterest-ing and brainstorming about decorations and food. Here's a sneak peek! The party really was a blast. 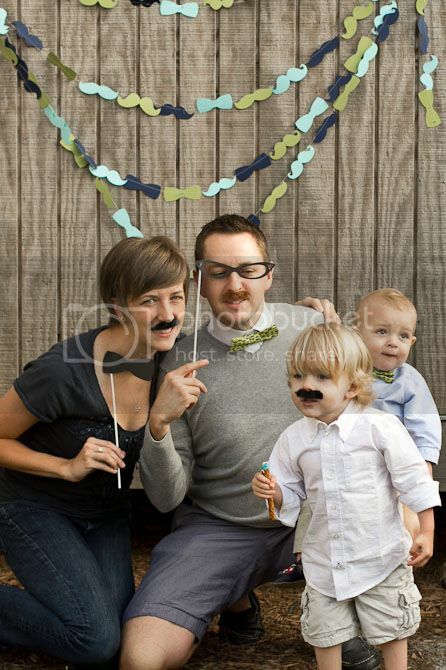 It was such a fun theme--everyone looked so silly in a mustache! It was so easy to come up with decorations and food to go with it. I would seriously recommend it for the next party you throw. Little boy baby shower? Perfect. 50th birthday party? Awesome. Bachelorette Party? A huge hit. Here's a more detailed look at the mustache bash party decorations. You are so creative! I love the decorations and the theme! 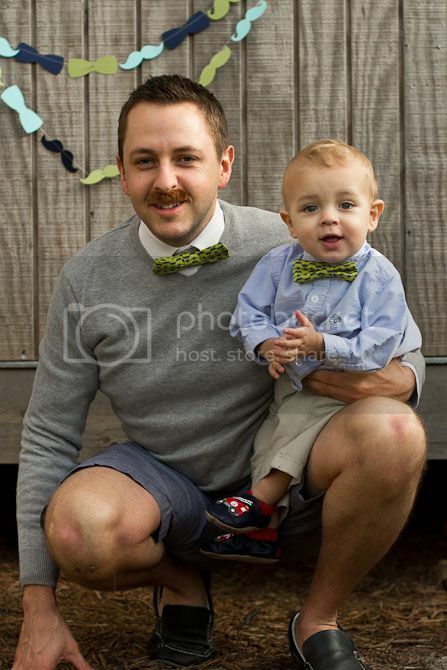 Matching bow ties . . . how clever. Yeah cookies! I love every pic of B Town too. SO BIG! That looks awesome! Did Victoria make those cookies? So creative. Penny can spot my work already! Congratulations on pulling it off! That was an awesome amount of work and crafting. I think Mr. Braden was born to wear button downs and bow ties. He is such a doll in that combination. And Finley sports a great mustache. Awesome party! 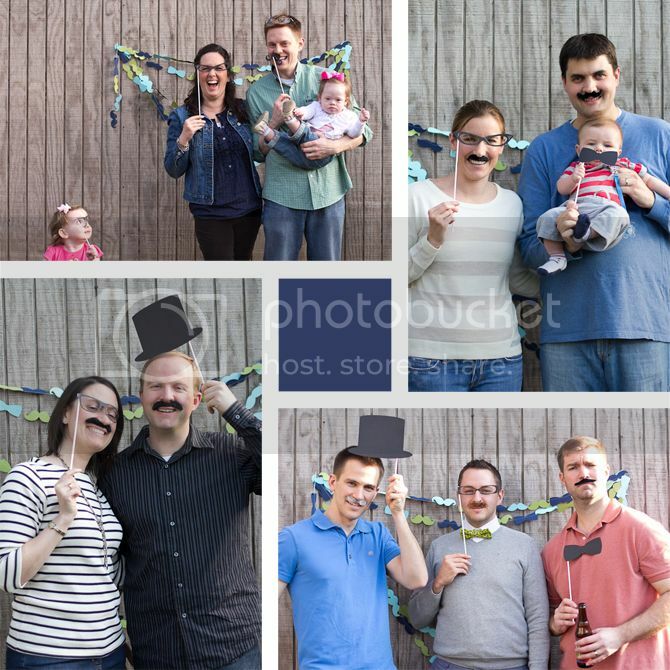 You all look great in your mustaches! 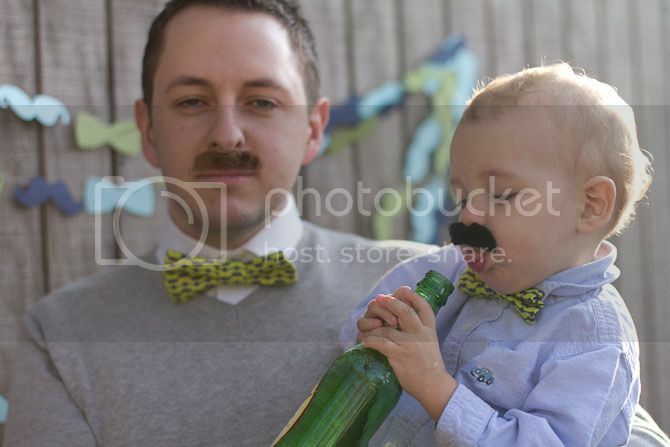 I threw a Alfred Hitchcock themed b-day party for myself and we wore mustaches too!!! 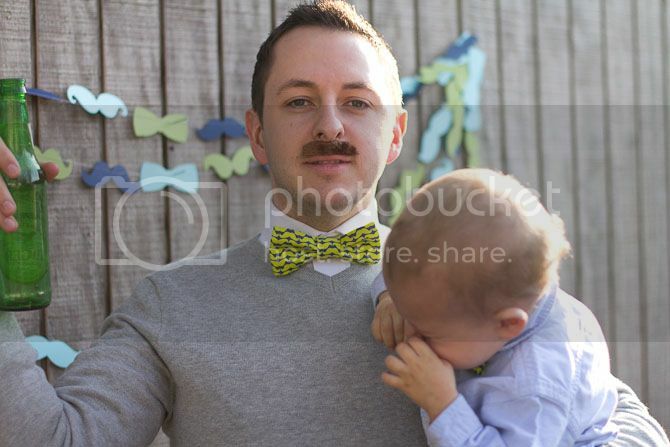 It is pretty cool to wear a mustache. Ok, so I had to read the line "I custom printed the fabric..." like five times...because I am so impressed by everything you do!! Every detail looks amazing. Can't wait to see more! We had a great time! Loved all the cute decorations and silly pics! so cute!!! LOVE the idea! OH MY GOSH!!!! This is PERFECT!!!!! I love this! I sure hope you've pinned this on Pinterest because it is SOOOOOO CUTE!!!!! DETAILS GALORE!!!!!!!!!!!!! !